This album is a triumph on so many levels, it’s hard to know where to start. For one thing (and most importantly), it’s an exhilaratingly wonderful pop record consisting of 50 songs, almost none of which are less than brilliant. 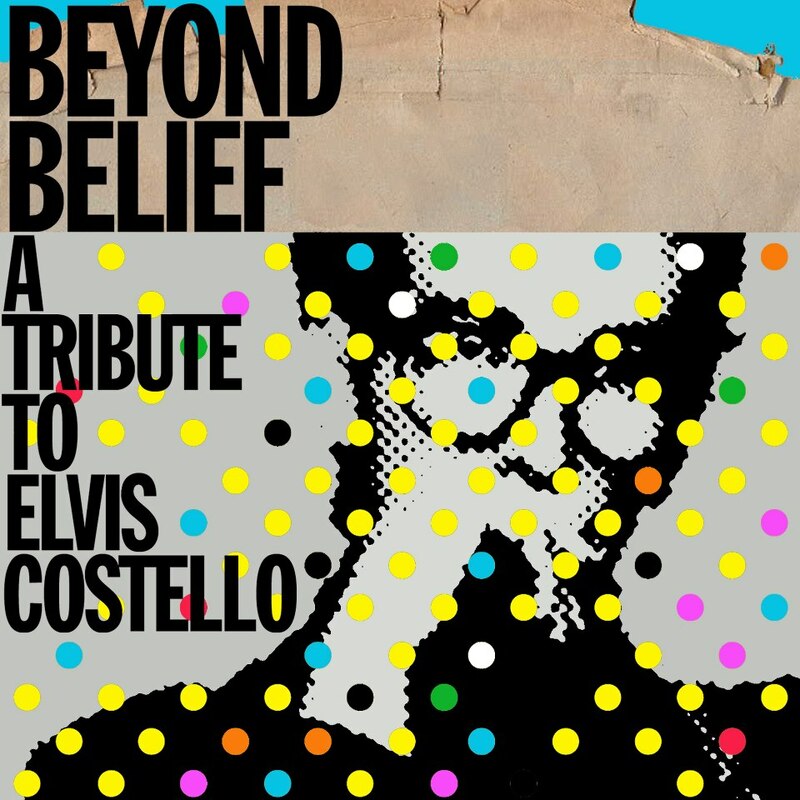 The fact that the songs were written by Elvis Costello means that they are of consistently high quality, and the fact that the singers are people other than Elvis Costello means that you hear these amazing songs in new ways — in significant part because (it must be said) they are often being sung by people with voices more naturally lovely than his. Second, this album is a pleasure and a delight because it’s made up almost entirely of performances by artists you are fairly unlikely to have heard of. Some of them are alt-pop bands, some are folk-derived singer-songwriters, some are less easily categorizable. Some of the arrangements are departures from the original (check out Jamie and Stevie’s doo-wop a capella arrangement of “Blame It on Cain” and the Rubinoos’ brilliant horn-driven take on “Pump It Up,” for example) but some are nearly slavish note-for-note recreations of the original versions, an approach that actually carries its own kind of charm. Are there duds? Sure, but I count only two — and that’s a pretty amazing batting average for a three-disc set. Last of all, it’s worth noting that all proceeds from the sales of this collection go to support the Mr. Holland’s Opus Foundation, which donates musical instruments to underfunded school programs. Every library should seriously consider picking this one up. This album presents lovely performances of two pieces that one might expect to have more in common than they do. Certainly they both reflect the fiery emotion of late Romanticism (the Ravel more than the Chausson in this regard) and an increasing concern with chromaticism (the Chausson more strongly than the Ravel), but Ravel’s incorporation of Basque themes and his greater emotionalism both set his trio apart from Chausson’s drier and more academic treatment, and the contrasts here end up being fascinating. The Trio Solisti’s playing is marvelously sensitive. Recommended to all classical collections. 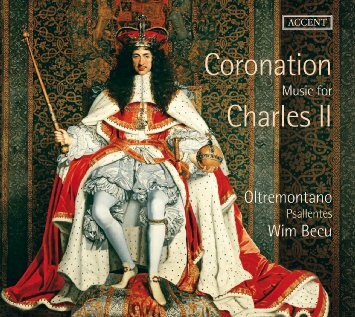 I have to confess that I’m a sucker for imaginative musical reconstructions of royal and liturgical events from the distant past, and this one is especially fun: using the choral group Psallentes and the cornett-and-sackbut ensemble Oltremontano, the album presents music that one is likely to have heard during the entry of Charles the II into London, the procession past the triumphal arches, the coronation ceremony itself, and then at the banquet and theatrical masques that took place afterwards. There is instrumental and choral music by Matthew Locke, William Lawes, and William Byrd, as well as by such favored Italian composers as Augustine Basso and Girolamo Fantini. No early music collection should be without this outstanding disc. This album consists of three pieces: the title composition is (as its title suggests) a quiet and eerie piece, three movements played by a string quartet using nothing but open strings and harmonics; the second is a four-movement work scored for four choirs of twelve cellos each; the third is a single-movement string quartet. 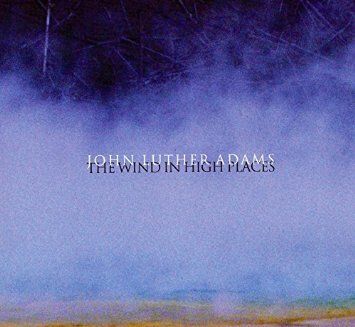 Like much of Adams’ music, these pieces combine relative harmonic stasis with virtuosic difficulty and deep structural and timbral complexity — which means that identifying him with the minimalist school is problematic. Beautiful and fascinating stuff. Most often, when I can’t figure out the appropriate genre designation for an album, it ends up going into the Jazz section. (I’m not proud of that, but there it is.) In this case, though, and despite the fact that the unifying element of these two albums of improvised music is the presence of electric guitarist Fred Frith, it seems as if Classical is the right home for them. 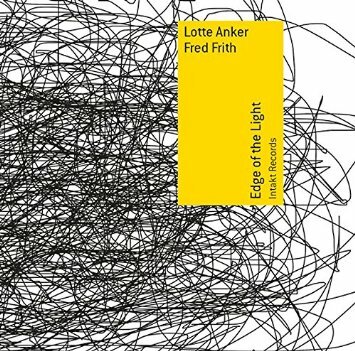 On Edge of the Light, Frith is working with saxophonist Lotte Anker, whose piercing and direct playing contrasts nicely with the wild textural variations of Frith’s extended techniques. 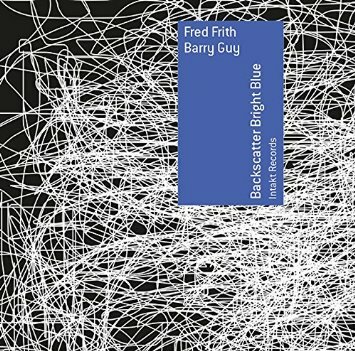 On Backscatter Bright Blue he is teamed up with contrabassist Barry Guy, and here (unsurprisingly) the sound is very different, with both musicians creating a broad sonic palette of tones, scrapes, squeals, snaps, and clatters. Libraries with a collecting interest in improvisation and the avant-garde should be very quick to snap these up — along with just about any other album to which Fred Frith contributes in any way. I have a theory: no one plays Chopin quite like someone who came to him after concentrating for a long time on the more Teutonically stern masterworks of Bach and Beethoven. 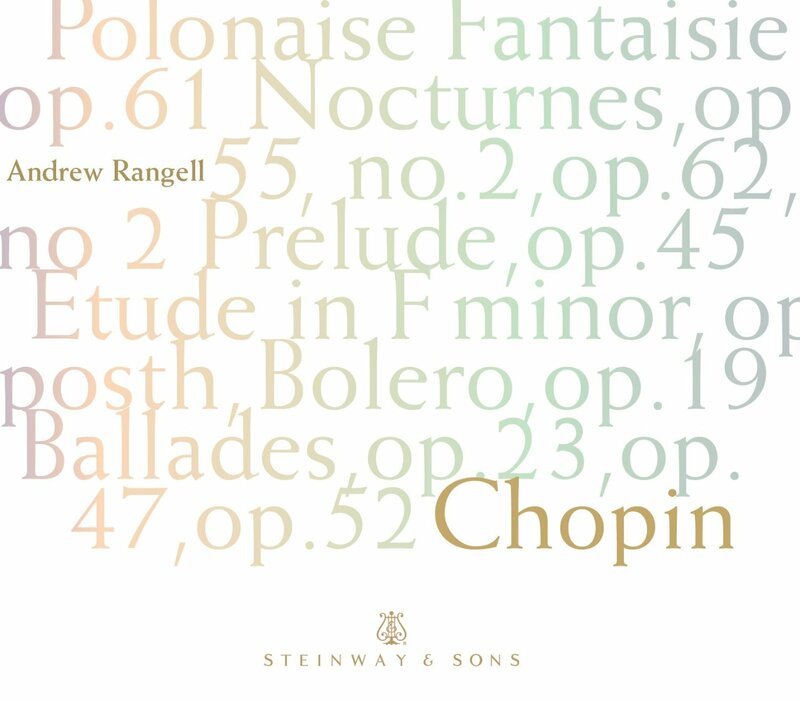 That was Andrew Rangell’s trajectory, and since, as far as I can tell, he’s never made a mediocre album, it comes as no surprise that his recordings of Chopin evince all of the joy and release that one might expect. In recent years he has focused strongly on the mazurkas, but for this program he ranges from the monumental Polonaise-fantaisie, op. 61 to nocturnes and ballades, stopping briefly for a bolero. It’s a marvelous ride and this disc is highly recommended to all libraries. The second album by this very fine mixed-voice choral ensemble is quite a stylistic departure from its first effort (a collection of Victorian part-songs), and the concept is an interesting one: settings of texts from the New Testament Gospels by such Franco-Flemish masters as Josquin des Prez, Adrian Willaert, Nicolas Gombert, and some Italian ringers (notably the great Palestrina) thrown in for good measure. 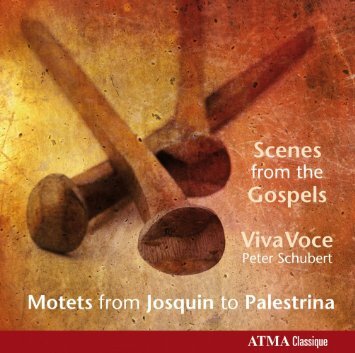 Recorded in a small and intimate acoustic environment, VivaVoce’s smooth but colorful blend and flawless intonation are shown off to great advantage, and the music itself is as exquisite as one would expect. 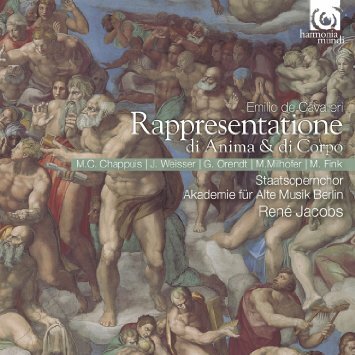 Not quite an oratorio and not really an opera — neither of those musical forms quite existed in 1600, when this work made its premiere in Rome — Cavalieri’s Rappresentatione has some characteristics in common with the musical morality plays of medieval Germany (cf. Hildegard von Bingen’s Ordo Virtutem), but a very different flavor. It has been recorded several times before, but this rendition by René Jacobs is spectacular and could probably replace any of the earlier versions if your library already holds one of those. It should certainly find a home in any early music or comprehensive classical collection. There may be no finer living modern-instrument conductor of Mozart than Sir Neville Marriner, and if there’s a better violinist for this repertoire than Rachel Barton Pine, I’m not sure who it is — and in making that assessment I include the period-instrument players (though Sigiswald Kuijken would give her a run for her money). 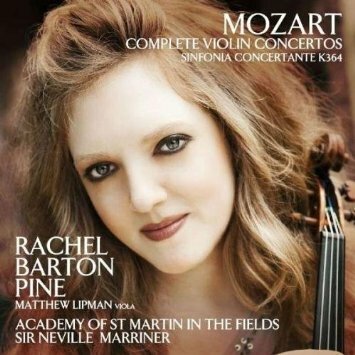 This two-disc set finds Marriner and Pine paired up for a wonderful set of performances: all five of Mozart’s violin concertos, plus the evergreen Sinfonia concertante (which also features viola soloist Matthew Lipman). These are works that it makes sense to own in multiple versions, but if you only have room in your collection for a single modern-instrument account of them, then I think I would have to recommend that you do whatever deaccessioning it takes to make space for this set. 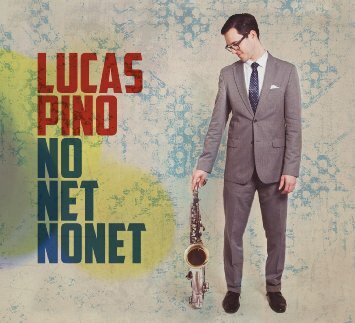 Opening with the exhilarating bebop workout “The Fox” and proceeding through a program of ballads, cool midtempo numbers, subtly complex group improvisations, and more brisk bebop, tenor saxophonist Lucas Pino’s No Net Nonet has made one of the most exciting debut albums I’ve heard in a decade. (Nino has recorded before, but this seems to be the Nonet’s first recorded effort.) The band’s monthly residency at Small’s Jazz Club in New York has paid off richly in ensemble cohesiveness, and their ability to navigate these joyfully complex charts at tempo is both technically impressive and musically thrilling. 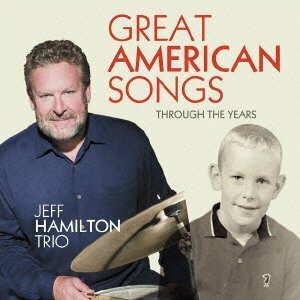 Highly recommended to all jazz collections. 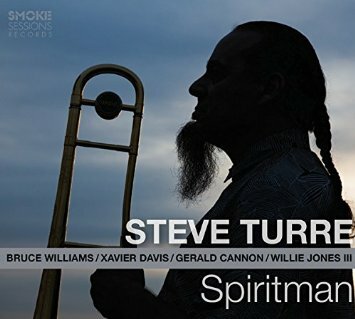 Steve Turre is known both as a trombonist of rare dexterity and sensitivity and as an innovator in the use of conch shells in a jazz context. 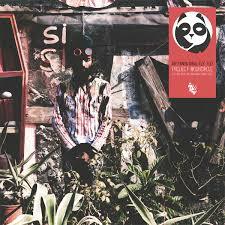 But on this album he focuses on standards, on straight-ahead original compositions, and on swinging. He does the latter with particular force on a powerful mid-tempo rendition of “Lover Man,” with particular funkiness on his own “Funky Thing,” and with tender regret on “Trayvon’s Blues.” On the title track, a Miles Davis composition, he plays shells into an open piano while the pianist silently depresses particular chords on the keyboard, setting up eerie sympathetic vibrations that are delicately gorgeous. Highly recommended overall. This album was originally issued a couple of years ago on the Japanese All Art Promotion label, and is now available in the U.S. through a license agreement with Capri Records. And thank heaven for that, because it’s one of the richest and most satisfying albums of standards I’ve ever heard from a piano trio. (Though if the leader is a drummer, does that make it a drum trio? Discuss.) There are no surprises here whatsoever: the tunes are strictly potboiler fare (“It Could Happen to You,” “Thou Swell,” “Someone to Watch Over Me,” etc.) and none of the arrangements are in any way innovative. They’re just played with exquisite skill, powerful swing, and palpable joy, and you can never have too many albums with those characteristics. I can’t, anyway. 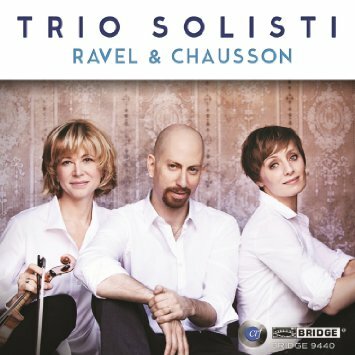 Here’s another very fine straight-ahead piano trio album, though this one has a very different feel. 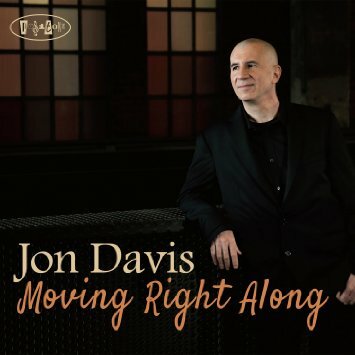 Pianist and composer Jon Davis leads his trio through a program made up of standards, originals, and versions of non-standards like Lennon and McCartney’s “She’s Leaving Home” and a couple of Jaco Pastorius tunes. His approaches vary subtly from tune to tune, sometimes incorporating gentle Latinisms and sometimes impressionistic clouds of chords that might shift gently but suddenly into a bluesy swing. Davis’s style offers a rare combination of delicacy and complexity, and this album would make an excellent addition to any collection supporting a jazz program. 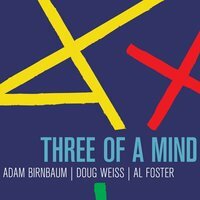 Drifting a bit further from the realm of standards and straight-ahead swing (but staying within the realm of the piano trio) is this lovely program of tunes by pianist Adam Birnbaum, bassist Doug Wiess, and legendary drummer Al Foster. The flavor here is more impressionistic and floating, and at times (particularly on the lovely “Dream Waltz”) the interplay between Birnbaum and Weiss explicitly evokes that of Bill Evans and Scott LaFaro. It’s not that this group doesn’t swing, but it does so more loosely and lightly, and the group’s harmonic explorations are more wide-ranging. Very nice stuff. The collection from which this recital program draws was originally published in 1873, and consists of songs collected and transcribed by Brinley Richards. 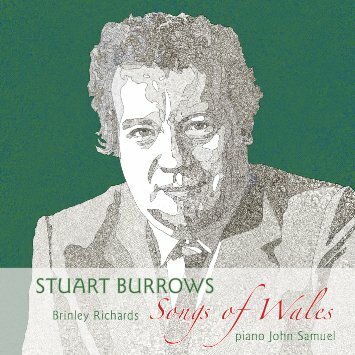 The recording features performances by the wonderful lyric tenor Stuart Burrows, accompanied by pianist John Samuel, and was made in 1986; the source tape from which this issue was mastered was in bad shape, but the sound quality is quite high nonetheless, and Burrows’ singing is simply marvelous. Some of these melodies will be familiar (listeners will recognize “Ar Hyd y Nos” as “All Through the Night”), and all of them are sweetly lovely. 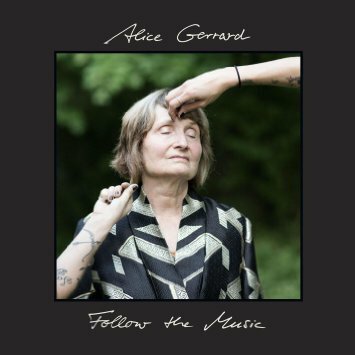 Longtime observers of the American folk scene will recognize Alice Gerrard’s name — she’s a legend and has been one for decades. Back in the 1960s she made her name as a bluegrass singer, but these days her work is more broadly folk-derived and on this album it tends towards what producer M.C. Taylor calls “some dark corners”: death, romantic disappointment, vultures, boll weevils, teardrops falling in the snow, like that. At 80 years old her voice shows the wear of age, and her singing is all the more effective for it. Recommended to all folk collections. 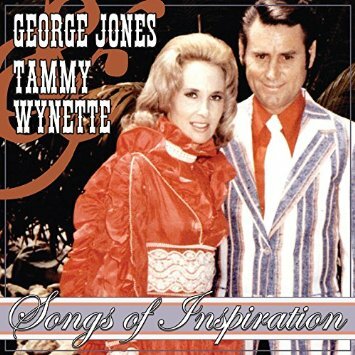 This disc compiles two early-1970s albums (Jones and Wynette’s We Love to Sing about Jesus and Wynette’s solo album Inspiration) plus a handful of gospel singles by each of the two singers separately. On the cover, you see the star-crossed lovers wearing outfits that are garishly horrible even by 1970s country standards — and it has to be sad that some of the songs are garishly horrible as well (“Old Fashioned Singing,” “It’s a 10-33 (Let’s Get Jesus on the Line)”). So why am I recommending it? Partly as a document for research purposes, and partly because George Jones could sing the index to The Book of Virtues with Billy Sherrill producing and it would still be worth listening to. Also, some of the songs are wonderful. There’s a lot of this happening lately: a band with a too-clever name and bluegrass instrumentation playing original songs that are by no means “bluegrass.” Not that there’s anything wrong with that: the Warren G. Hardings (sigh) are basically a punk band playing tight, tuneful, and highly energetic acoustic rock music using bluegrass instruments; listen closely to songs like “Darling” and “Post-Suburban Recession-Era Blues” and you’ll quickly realize that with the addition of electric guitars and drums they would sound perfectly at home on a Dropkick Murphys album. 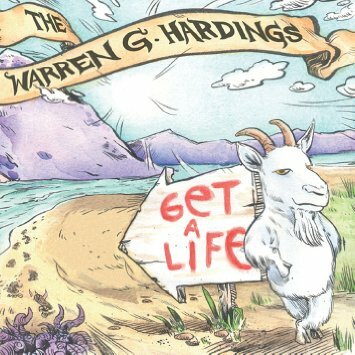 That means the Warren G. Hardings are the right band for this particular moment in time — and the fact that their songs are mostly excellent suggests that they’ll outlast this moment. 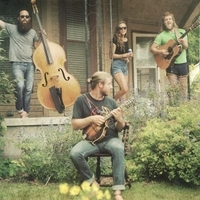 This small ensemble also uses bluegrass-y instrumentation (various combinations of guitar, mandolin, resonator guitar, bass, an occasional banjo) to make music that has little if anything to do with bluegrass, but their sound is very different from that of the Warren G. Hardings. Here we have acoustic folk-pop of a deceptively complex nature, with tight harmonies partly hidden behind good-naturedly chugging rhythms and arrangements that are much more sophisticated than they want you to think they are. Lindsay Lou’s voice is unfussily beautiful, and the whole album is a real breath of fresh air. Anyone who follows CD HotList has probably figured out by now that I have a particular soft spot for roots reggae, the Franco-Flemish masters, and Québécois folk music. I also loves me some electronic pop. 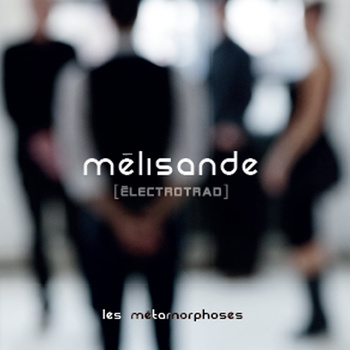 I have yet to find an artist who has combined all of those (if and when I do, I may retire), but with Mélisande [Electrotrad] I’ve found a really fun combination of those last two. Blending traditional Franco-Canadian songs and tunes with funky, chunky, and thumpy electronic drum programming and electric guitars makes for a delightful departure from the usual, and the fact that this group does so without ever losing sight of the essential beauty of the melodies makes everything that much better. Highly recommended to all collections. A couple of months ago I recommended a fantastic collection of rare soul and funk music from the archives of the One-derful! Records label group, which operated in the Chicago area in the 1960s and 1970s. 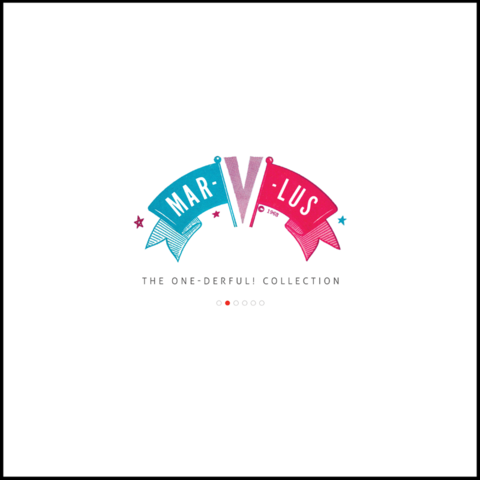 The second installment in that series focuses on releases from the Mar-V-Lus imprint, and if anything it’s even better — the sound quality is a bit cleaner and richer, and the songs are just dynamite. You may not recognize names like The Du-Ettes, Johnny Sayles, or Miss Madeline, but listen to this album and you might find yourself becoming a crate-digger in pursuit of more. Most of these 25 tracks have been commercially unavailable for decades, and ten of them have never been released at all. This whole series (which is available on subscription) should be considered an essential purchase for every library’s pop collection. 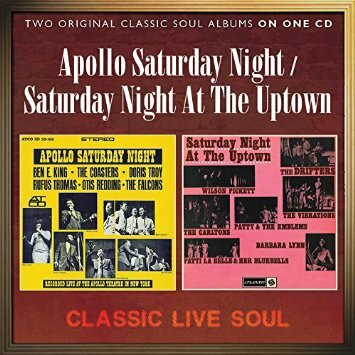 Speaking of great soul music reissues, here’s a valuable twofer: the Atlantic albums Apollo Saturday Night and Saturday Night at the Uptown reissued on a single CD. Featuring classic live performances by the likes of Wilson Pickett, the Drifters, Patti LaBelle, and Otis Redding, these are absolutely essential albums. Unfortunately, the sound quality is consistently quite terrible — not bad enough to make Pickett’s singing less powerful and the Drifters’ performance of “Under the Boardwalk” anything less than transcendent, but bad enough to make you really wish it were better. As a document, though, this disc is tremendously valuable and can be confidently recommended to all collections. Some people have an almost allergic reaction to wispily-sung acoustic-based pop music, and honestly, I get it. I do. But when the strummy acoustic guitars and the piano arpeggios and the polite drums serve as a bed for killer hooks, then frankly I think that’s all that matters. 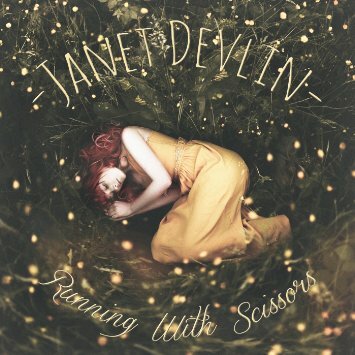 And killer hooks are what you get in profusion on the debut album from this young Irish singer-songwriter. Do I wish she wouldn’t flatten all her vowels? Sure. But as long as she keeps writing songs this catchy, she can sing them any way she wants as far as I’m concerned. There’s a lot of electronica out there, but not much of it is very artful. The debut album by Suren Seneviratne (a.k.a. My Panda Shall Fly) shows you just how artful you can get — and here I don’t mean “arty,” but rather artful: this guy maintains at all times a delicate and virtuosic balance between glitchy abstraction and tuneful songcraft. Collaborating with a variety of vocalists including Deptford Goth and Troels Abrahamsen, he crafts tunes that you can almost sing along with but maybe not quite, and that reveal new layers of sonic detail with every listen. Very, very impressive. Can’t wait for the inevitable remix album. 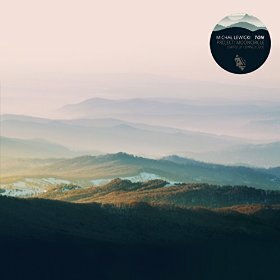 So maybe you listened to My Panda Shall Fly and thought “Eh, this is pretty good, but it’s a bit too song-oriented and structural for me.” Then by all means, check out this release from his labelmate Michael Lewicki. It’s a six-song EP that the label describes as “a quasi-mathematical experiment in audio-randomization.” The thing is, none of this sounds random at all (especially the sudden burst of junglist breakbeats on the rhythmically slippery “Komeda”); in fact, it sounds very carefully crafted, in an abstract way. Do I contradict myself? Very well, I contradict myself. But this is good enough that I’m recommending it here even though it’s not available on CD. Anouar Brahem plays the oud (a fretless lute), and for this album has composed a suite of pieces for his instrument, piano, bass, bass clarinet, and string orchestra. 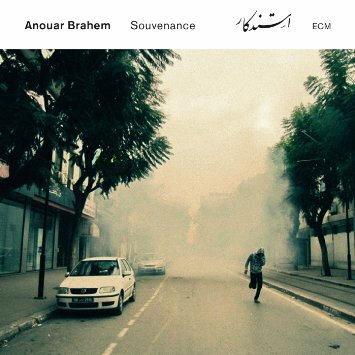 The music has no explicit political content, but expresses some of Brahem’s feelings during the intense political upheavals in his native Tunisia between 2010 and 2011. It’s unsurprising, then, that in this music you will hear hints of optimism, regret, fear, nostalgia, and hope, all of it expressed with Brahem’s typical virtuosity and grace. This album marks Brahem’s first attempt to write for strings, and it’s a great success on every level. Highly recommended to all libraries. It is with a heavy heart that I include this recommendation. Not because the album is anything less than wonderful, but because it turned out to be the final project by drummer Style Scott — legendary reggae session musician and sole remaining member of the mighty Dub Syndicate — who was tragically and senselessly murdered last October. 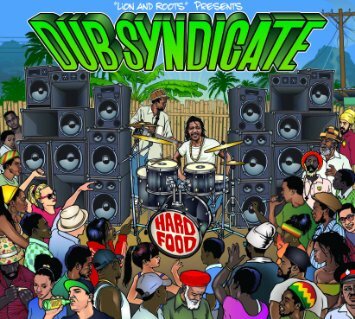 Hard Food gives us what we’ve come to expect from Dub Syndicate over the past three decades: elephantine reggae grooves, brilliantly dubbed-out production by Adrian Sherwood, and cameo vocal appearances by reggae royalty like U Roy, Lee “Scratch” Perry, and Bunny Wailer. The thought that this flow of brilliant modern roots reggae has been permanently stopped by a gunman’s bullet is almost too much to bear. Razia Said grew up in the vanilaa-growing region of northeastern Madagascar, and returned home in 2007 after living abroad for many years. The changes she saw upon her return were alarming: environmental degradation, political disarray, illegal logging, etc. Part of her response has been to write songs that combine the joyful uptempo traditions of Malagasy music with activist lyrical messages. Those messages may be largely lost on English-speaking listeners, but the joyfully uplifting music won’t be — nor will her delightful singing voice. Recommended. 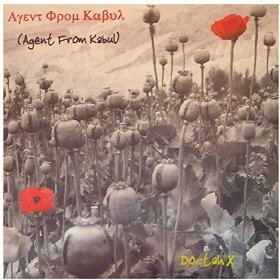 Billed as “the soundtrack to an imaginary movie about a double agent who works for the CIA, dealing opium in bulk,” this album is as weird and trippy as you might expect. Keening violins, electric guitars, unidentifiable fretless stringed instruments, and bottomles basslines combine with the sampled sounds of bawling camels, rainy streets, calls to prayer, and a whole bazaar of other elements to create a richly spiced musical stew. Running through the whole thing is an intermitten pattern of reggae basslines and dubstep beats, all of it produced in a dreamy, dubwise style. Recommended to all adventurous library collections. 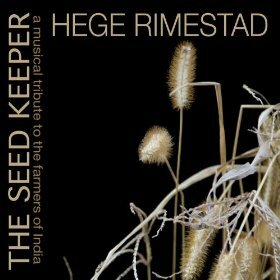 This CD is the result of several trips throughout India taken by violinist and harmonica player Hege Rimestadt. It combines home recordings, field recordings, and studio recordings made in collaboration with a variety of singers and musicians, and while I personally found the harmonica bits kind of awkward and the political messaging a little bit simplistic, for the most part this is a tremendously enjoyable album and should find a good home in any library with a collecting interest in East-West musical collaboration. I know, I know — another month, another recommended release from the Easy Star label. But it’s not my fault: they’re the best reggae label in the US, and they just keep putting out spectacularly good albums. 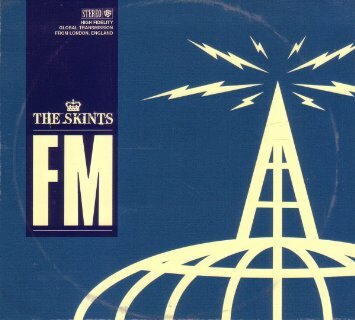 Like this one from East London quartet the Skints, whose blend of popwise hooks and bone-deep grooves is completely irresistible. Singer Marcia Richards will put you in mind of Holly Cook, and the guest appearances by toasters like Tippa Irie, Horseman, and MC Rival bring a nice element of variety to the sound as well. This one is an essential pick for all reggae or world music collections.